For those of us with healthy eyes - it's hard to imagine what the world would be like without our vision. But the fact is, as we age, our eyes can undergo what's known as macular degeneration. This can make it harder for your eyes to focus and may even be responsible for difficulties in color differentiation. Lutein is an antioxidant and carotenoid that is concentrated in the eyes, but is also found in skin, breast and cervical tissues. Along with zeaxanthin, it may help maintain the health of your vision. 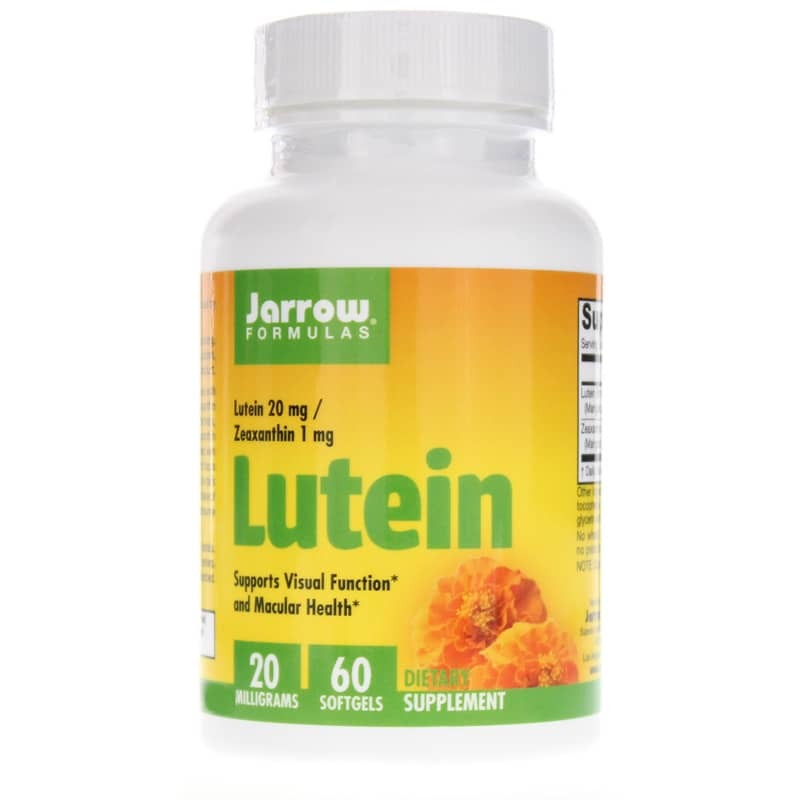 Jarrow Formulas offers a Lutein supplement, which also contains zeaxanthin. 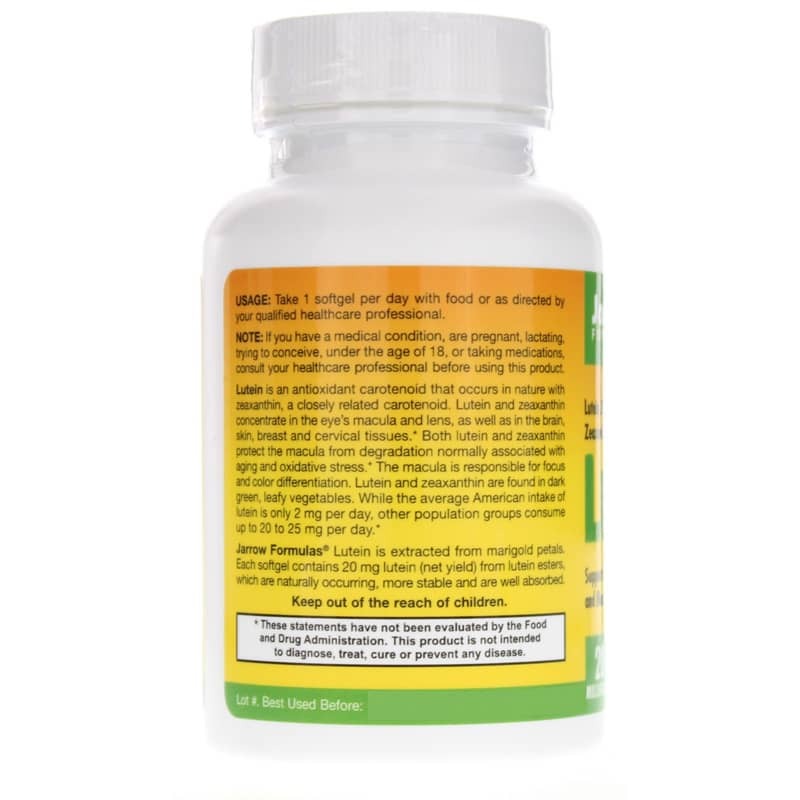 Both carotenoids are extracted from the petals of marigold flowers to give you 20mg or naturally occurring, stable and easily-absorbed lutein. Research suggests the American population could be lacking lutein in the typical diet - especially when compared to other groups. Americans consume an average of 2mg of lutein per day, while other populations get 20 to 25mg on a daily basis. Protect your eyes and support your vision. Because there's too much to see and you don't want to miss anything. 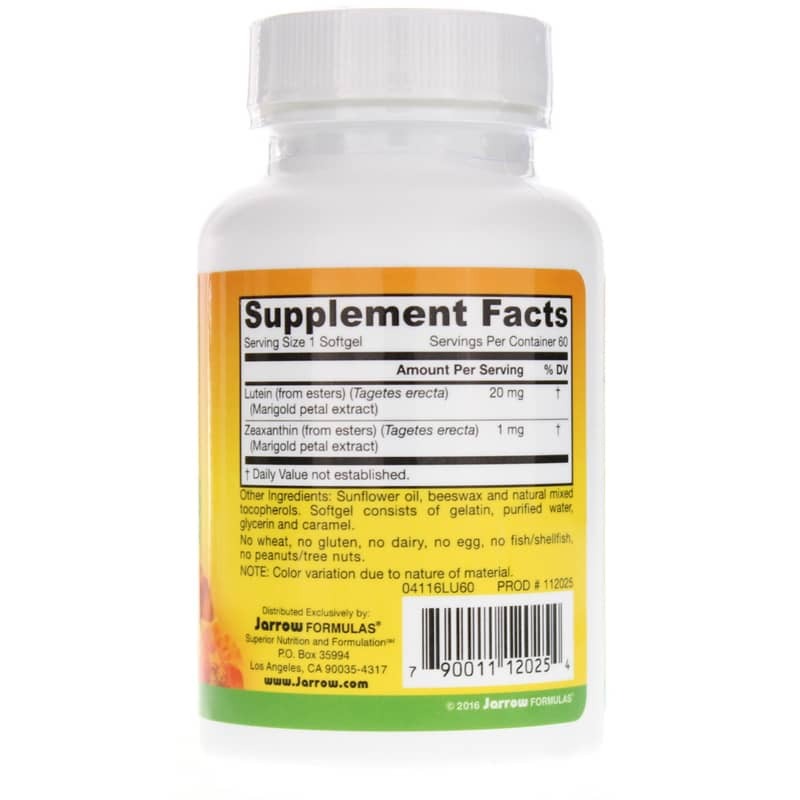 Choose Lutein by Jarrow Formulas right now! Other Ingredients: sunflower oil, beeswax and natural mixed tocopherols. Softgel consists of gelatin, purified water, glycerin and caramel. Contains NO: wheat, no gluten, no dairy, no egg, no fish/shellfish, no peanuts/tree nuts. Adults: Take 1 softgel per day with food or as directed by your qualified healthcare consultant.